The entire food web is based on the process of photosynthesis. 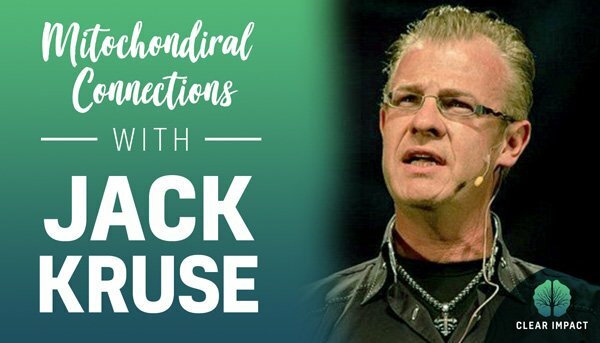 A respected neurosurgeon and CEO of health and wellness company Optimized Life, Dr. Jack Kruse explains why light is the key to nutrition and teaches us the role mitochondria play in our health. Learn how to reconnect to our natural environment through biochemistry and biophysics. Get ready for a paradigm shift. Today we’re excited to have Dr. Kruse on the show as we discuss topics such as photosynthesis and mitochondrial respiration, how the light in our environment shapes our nutritional awareness as well as how we can fight our own cognitive bias. Why light is the key to all nutrition. The importance of light in mitochondrial respiration. Why a Canadian shouldn’t eat coconuts in January. How our skin can “see” light in the same way as our eyes. How the brain allows humans to break the laws of nature. The definition of deuterium and how it causes chaos in the body. What Jack considers the most effective biohack of all. I haven’t listened yet but I will. I recently learned that it’s not so much the DNA that is what we should be focusing on but the mitochondria and what’s happening there. As you probably already know – Co-Q 10 is a great supplement for mitochondria. Thanks for all you’re doing guys! You ROCK Tammra and let us know what you took from the episode. It’s a powerful one for sure! Perhaps if Jack listened more to D’Agostino or Seyfried a bit more often he’d be able to lose that extra 40 pounds that he’s gained from the point where he reached a few years ago. While I agree with a lot of what Jack posts, his position that diet is really not that important belies common sense. Almost everyone that goes on a keto diet gets remarkable results and not just weight loss (reversal of Type II diabetes, reduction of inflammation, etc). Jack finds is so difficult to see anything as positive where clearly his own body composition has suffered from his approach, which then makes one question how ideal it actually is as unfair as that may be. At least the interviewer was quite accommodating of other perspectives. Great interview! I especially liked the information about light and the skin, deuterium, and asking the right questions. It is not easy to shift paradigms but it is worth the effort. I am most grateful for this information of cutting edge science getting out. Thank you! Thanks Melinda. Stoked you enjoyed it! Really great podcast! I always love learning from Jack Kruse on these podcasts. I follow more than a dozen incredible researchers/ scientists who can probably read 10x faster than I can and retain more than me. Dr. Kruse is at the top of my list. I have to acknowledge him for saving my bacon. I have a high magnetic field in my house & I’m looking to buy in Fl & get out of this place. None of the other biohackers/researchers were ahead of Jack on non-native EMF’s like the 60 hz mag field in my house. I’m fascinated and I’m learning more about the deuterium story. I could say more, but I’ll just repeat what I’ve said elsewhere, I have nothing but L.A.R.A. for the good doctor. (That’s Love, Admiration, Respect and Appreciation). Thanks Adam for having Jack on your podcast. like to have an active Cell phone constantly emitting all of its other non bio-hack frequencies while I try to learn how dangerous they are. ? ! ?